Andre Ramadan, a second-year political science major, died of unknown causes on Nov. 6 while on the Semester at Sea Program. Andre died in his on-ship room while the vessel was docked at Ho Chi Minh City, Vietnam. The ship’s student life staff and vessel management company, in addition to Vietnamese and American authorities, are investigating the cause of Andre’s passing. David Hunter Cordeiro, a third-year UCSB student who lived next door to Andre in the dorms, said Andre loved to play tennis and spend time with his friends. Andre’s cousin, Nick Colachis, said he misses Andre dearly. “He was just one of those people who made you feel better when you were around him,” he said. Third-year political science major Connor Kennedy said Andre’s enthusiasm for life was apparent to those who knew him. Zack Guthrie, a third-year economics and political science major, said Andre was a kind-spirited friend to all. According to Guthrie, the Ramadan family has received the autopsy results and wishes to keep them private. “They will not release [the autopsy]; it’s a personal family matter. As far as the family has let anyone know, it was a natural death,” Guthrie said. News Director of Public Affairs George Foulsham said Andre died due to unknown medical causes. According to Vice President of Communications, Marketing and Public Affairs for the Institute for Shipboard Education Lauren Heinz, investigations are underway according to regulation. “Anytime you have an incident of this caliber occur, basically we’re governed by maritime law and by our own policies,” she said. A memorial service was performed onboard two days after Andre’s death and another small memorial was held in Irvine at Saint Paul’s Greek Orthodox Church last Saturday. Currently, the Semester at Sea program is focused on attending to the emotional needs of the students who were traveling with Andre. Semester at Sea faculty members Nina and Geno Carr wrote in their Off Exploring blog about the memorial service and the healing process for students who knew Andre. 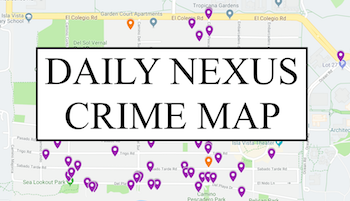 The Daily Nexus Editorial Board deleted several posts associated with this story. Please refer to our editorial policy on the About/Contact tab under “Legal Notices” and in the FAQ tab. 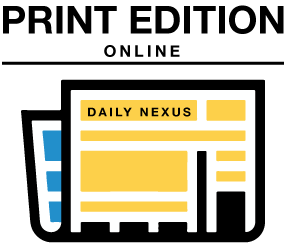 Any questions can be directed to eic@dailynexus.com. Thank you for your interest in our publication. Our hearts go out to Andre’s friends and family. Pieces from this article are true in that Andre was dearly loved by many who knew him. Overall, this obituary makes me feel sick. Instead of focusing on how he died, it would have been more respectful to celebrate his short but great life. Think of his family for God’s sake. This is shameful for the Nexus and I suggest that in the future, the writers realize that their words carry great implications. I sincerely hope that your readers don’t make assumptions about Andre’s life based on the intrusive and unnecessary statements made in parts of this article. @EIC: The section of the website you referred to doesn’t contain any part of your editorial policy, it just contains a copyright notice (as of the time of this posting). Either admit a mistake or be honest about what’s going on here, but this whole thing smacks of a lack of editorial discretion and it’s more worthy of Glenn Beck then you guys. Was so sorry to hear the news. André attended the international school in the South of France of which I am the Principal. I have many memories of André, Nicholas and their parents and would like to convey my deepest sympathy onbehalf of all at Mougins School. We would love to be back in topuch with them, too.